Logical invest is a pioneer in building transparent, rules-based investment strategies that you can trade in your own account, including 401k and IRAs. The strategies allow investors to participate intelligently in core assets like Equities, Bonds, Gold and Volatility Harvesting. Our strategies include adaptive hedging mechanisms to protect you from large market corrections. The strategies are thoroughly back-tested and publicly documented so that both advisors and investors have a good understanding of “what is inside the box”. You can combine and allocate across strategies to create your own unique portfolio. Whether you have a 401k, an IRA, a Roth IRA or SEP IRA or just a taxable account, we give you the tools to manage them using simple, cost-efficient and proven strategies. You will minimize discretionary decisions and difficult dilemmas, which can tire an investor. You are here for the long run. We can help you stay the course. There is no commitment, no fund transfers. Just register with an email. You can cancel any time. Intelligent Portfolios to trade on your own account whenever you prefer. 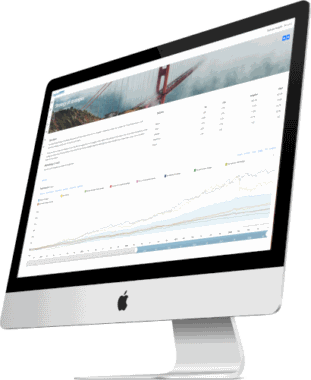 Our desktop software helps you create custom strategies and multi-strategy portfolios for you or your clients. 1 Account, all our Quantitative Strategies. Managed by The Estate Planners Group, powered by Logical-Invest.